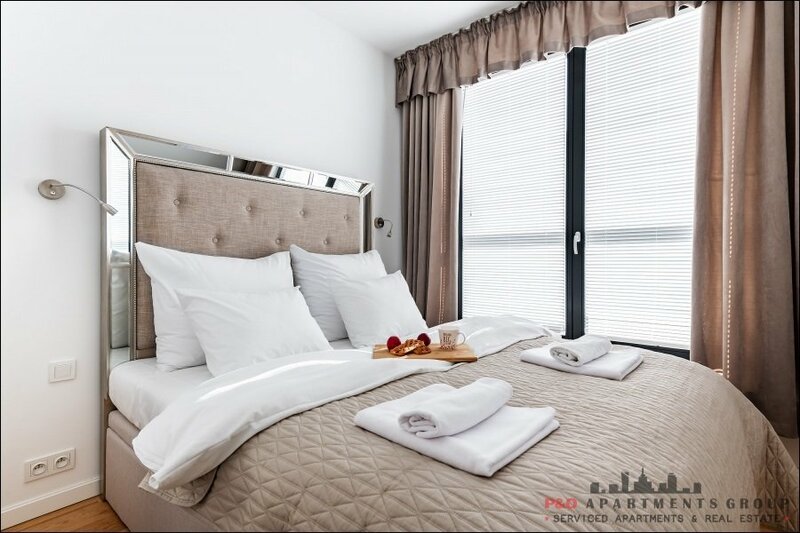 Minimum booking in chosen period is 4 days. 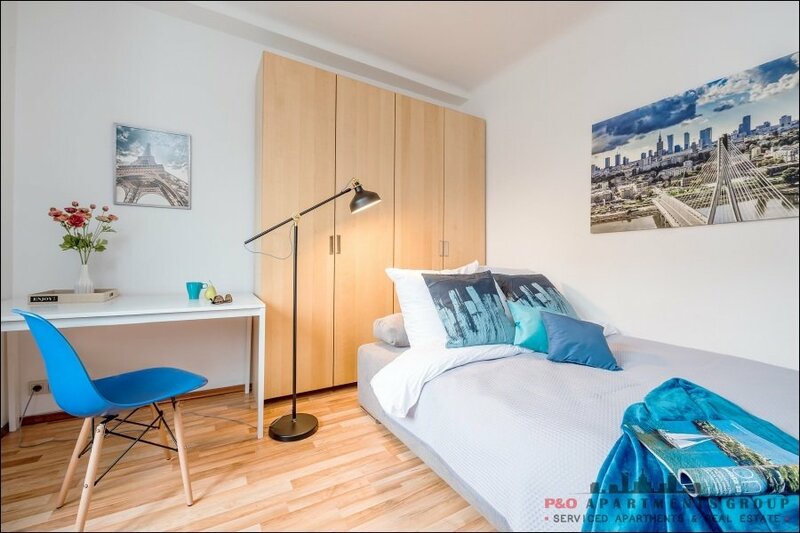 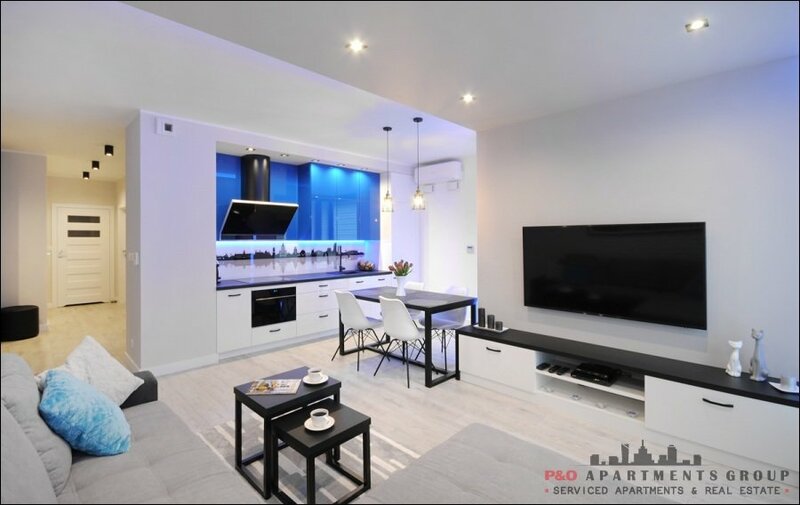 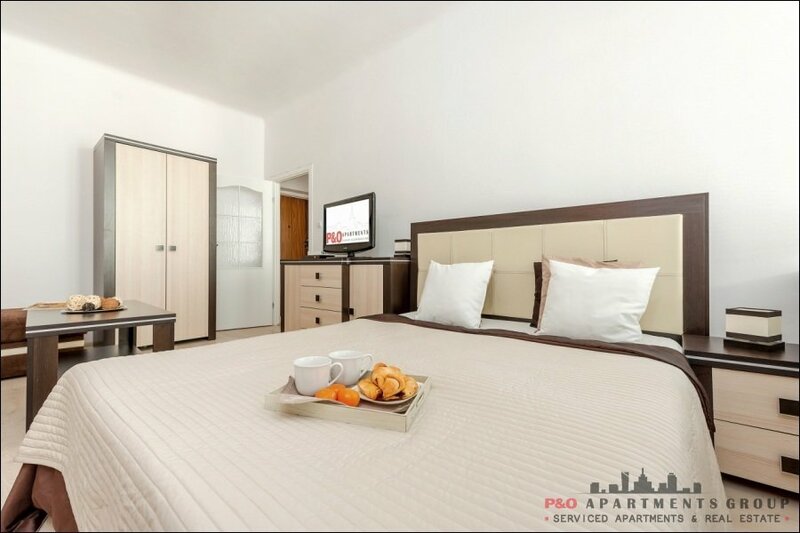 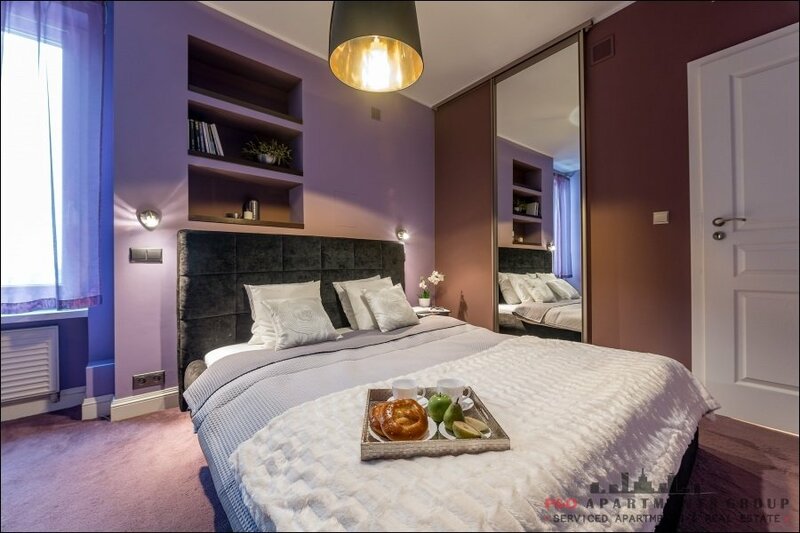 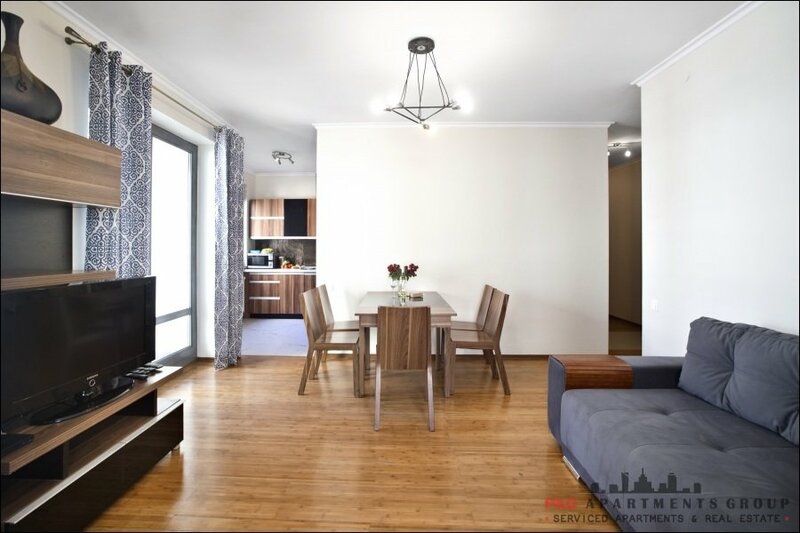 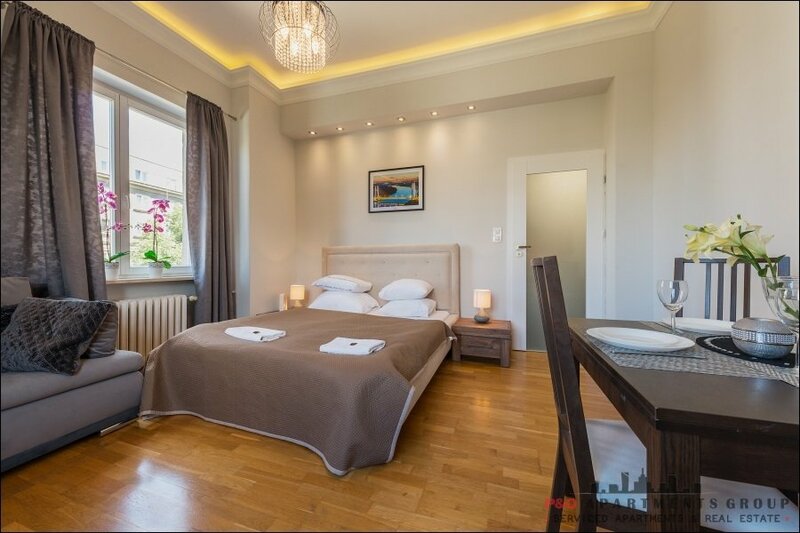 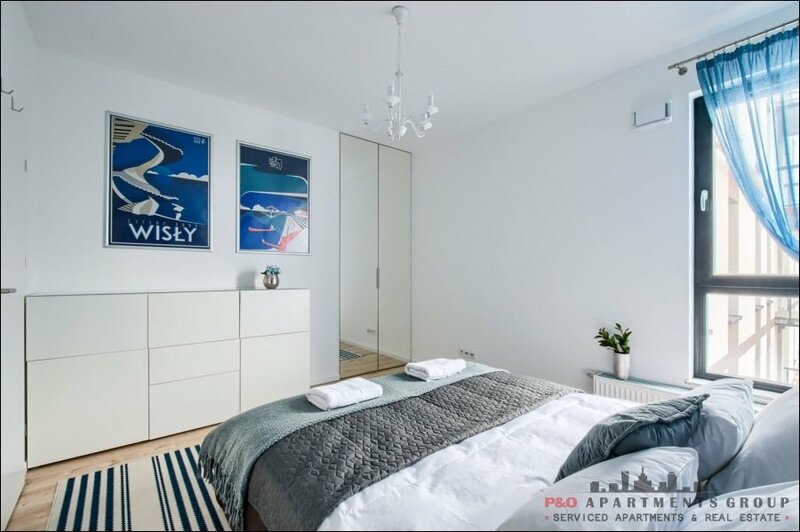 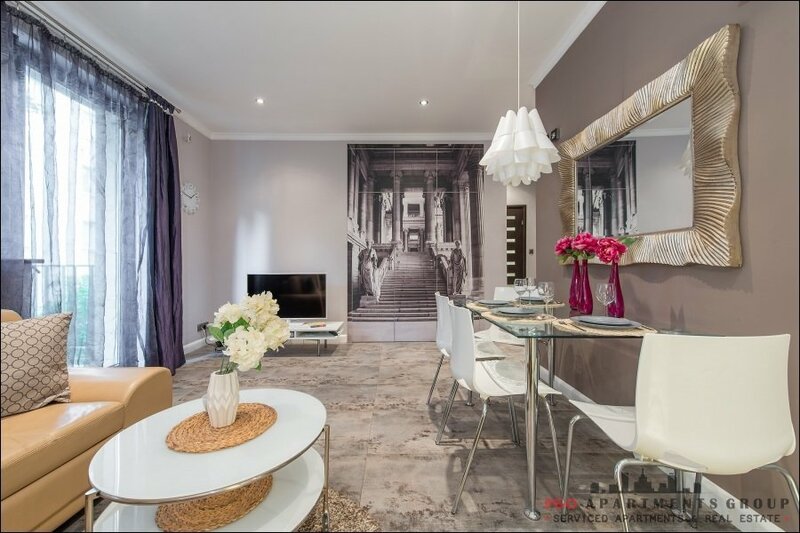 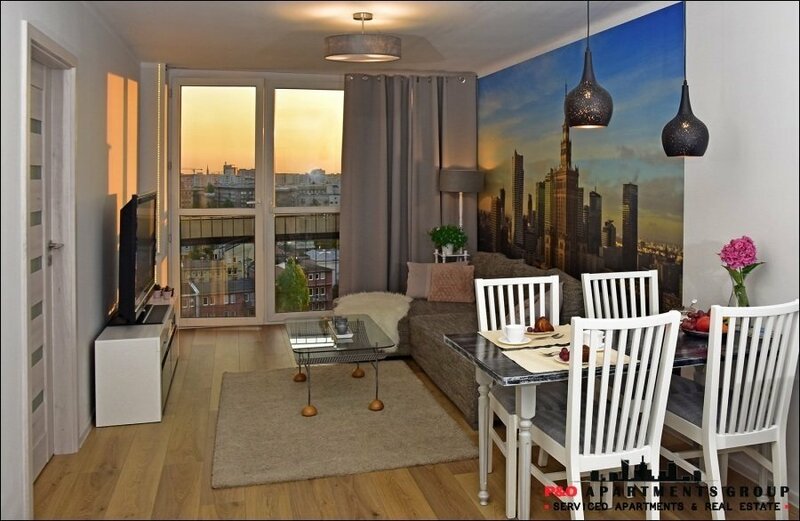 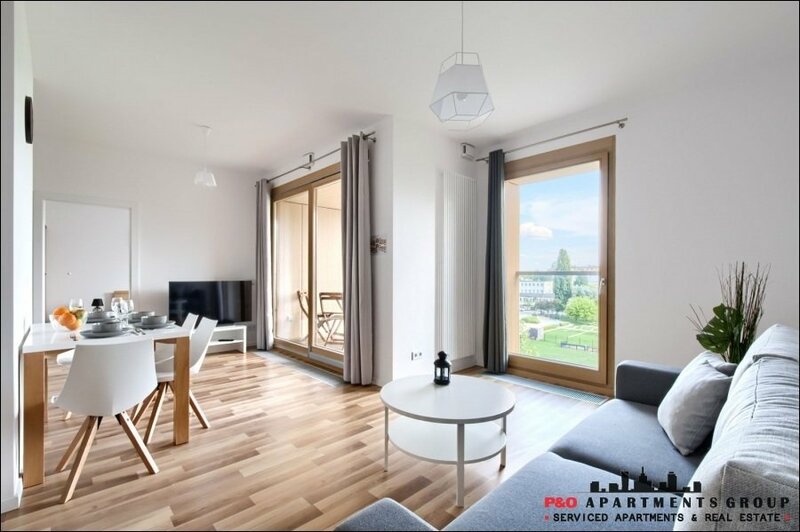 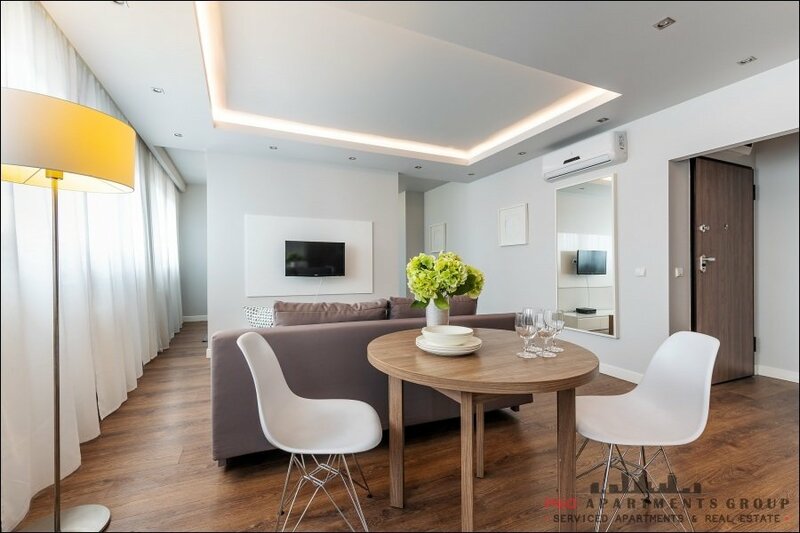 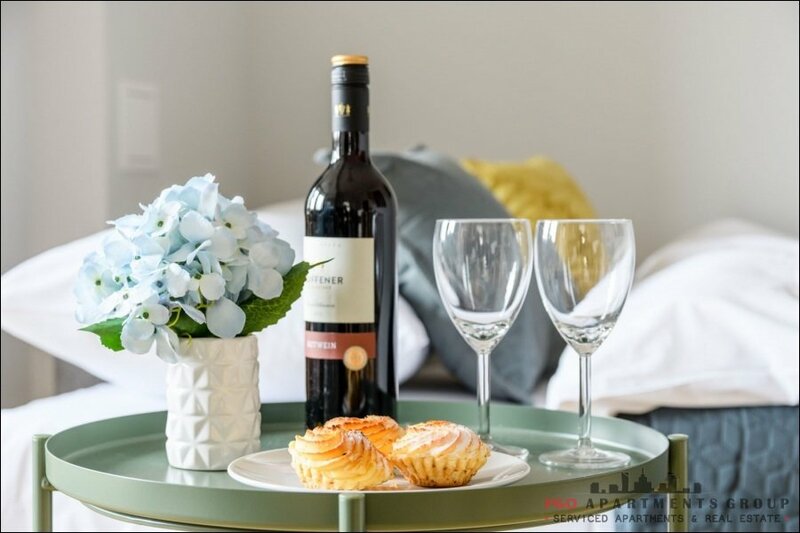 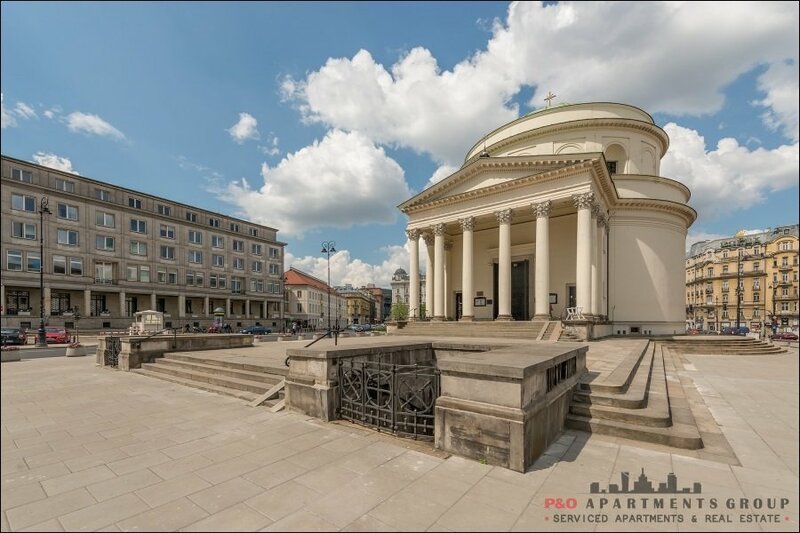 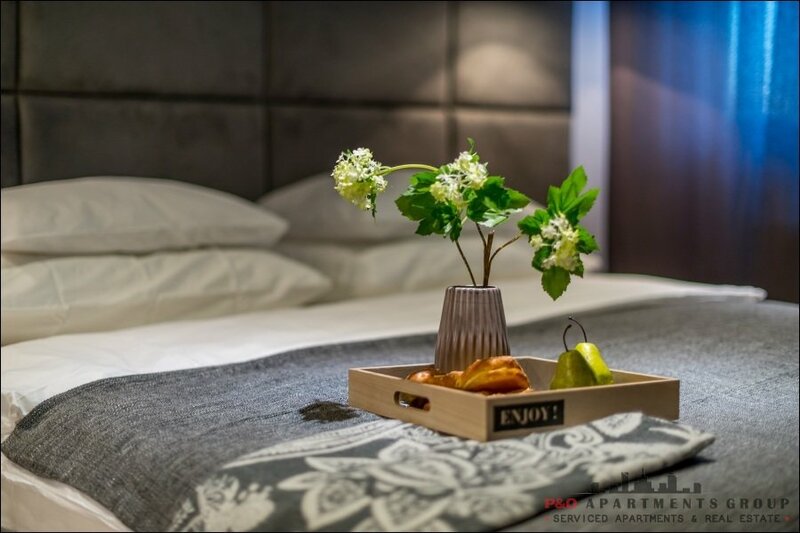 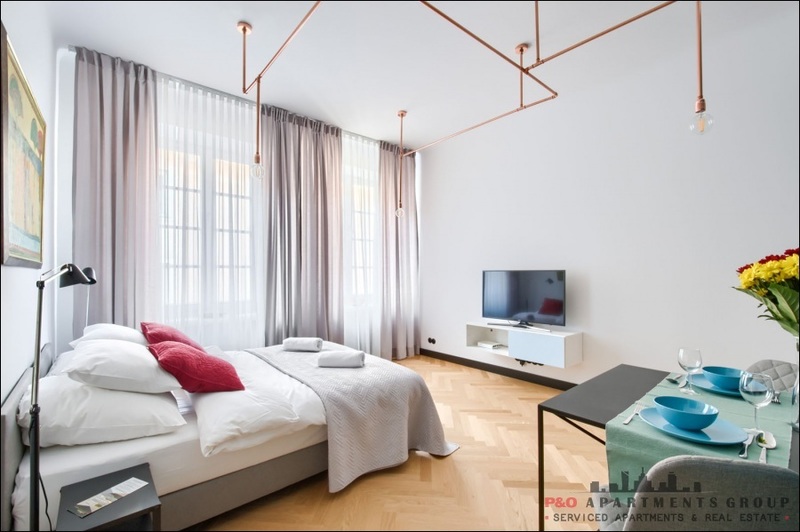 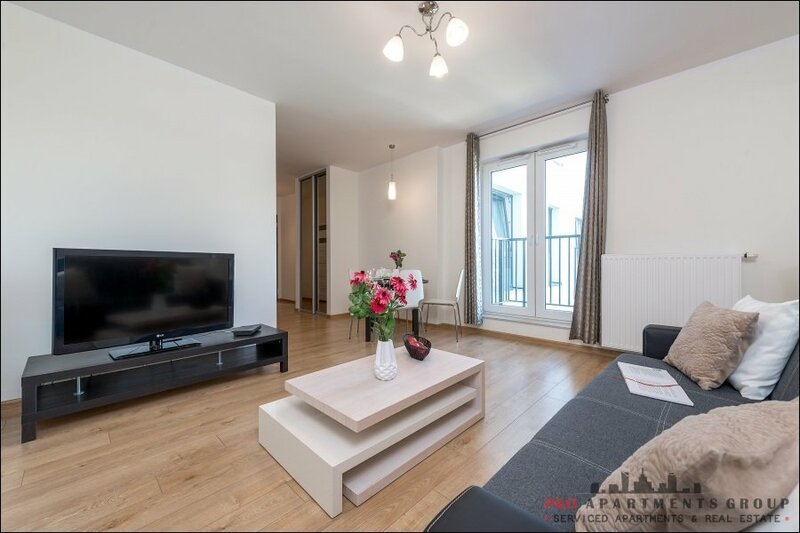 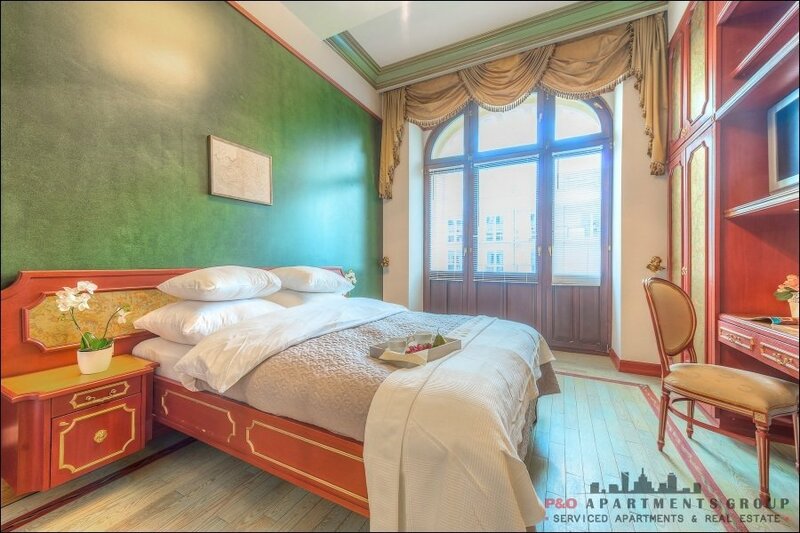 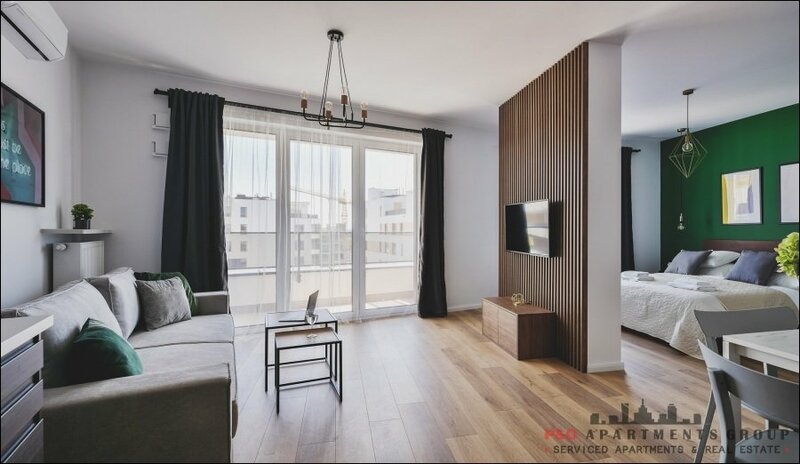 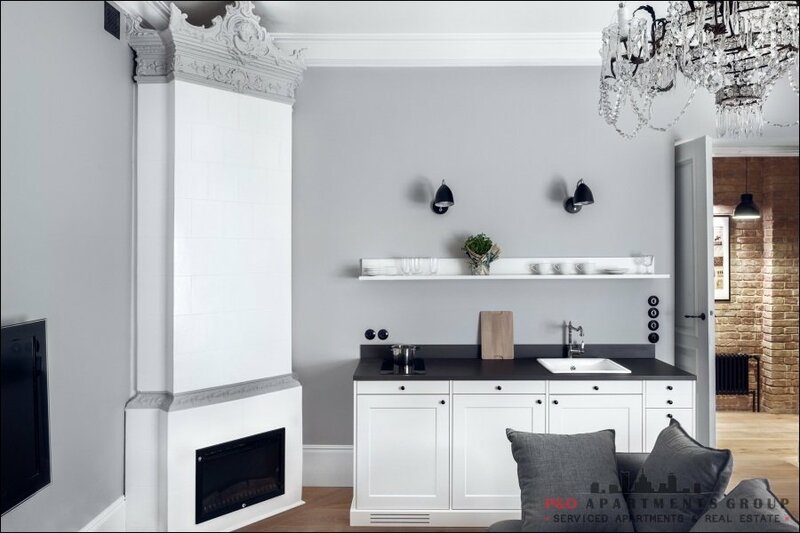 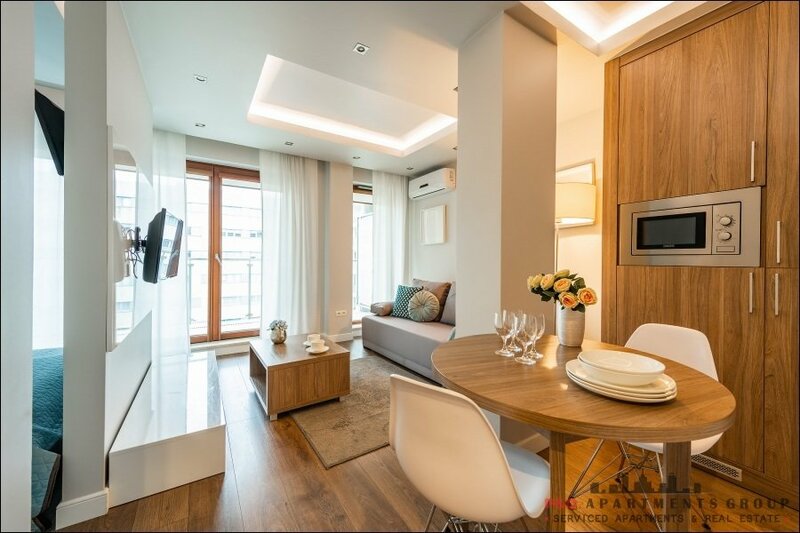 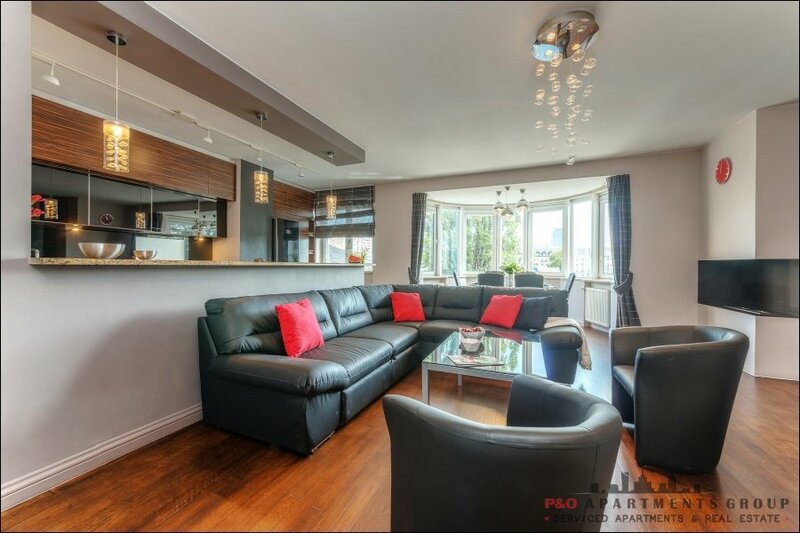 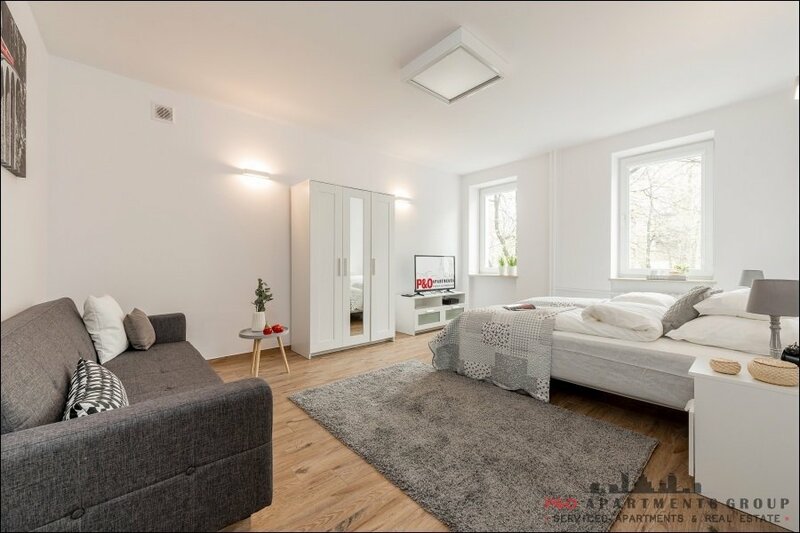 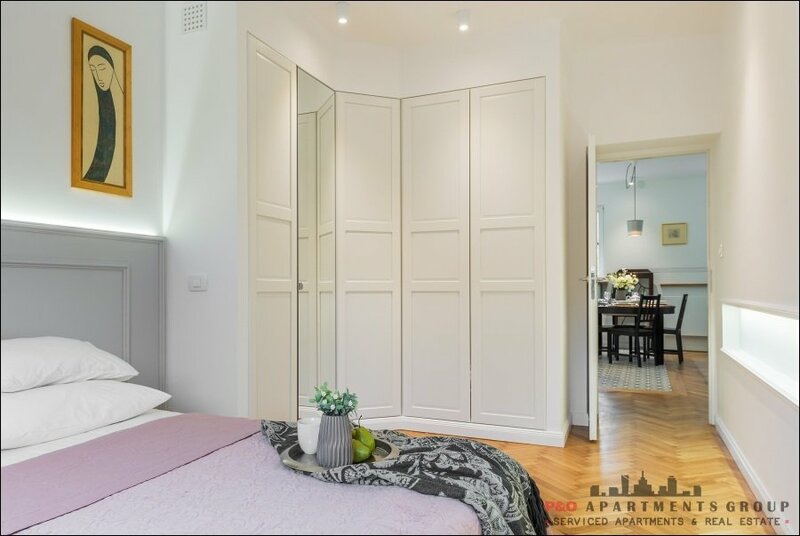 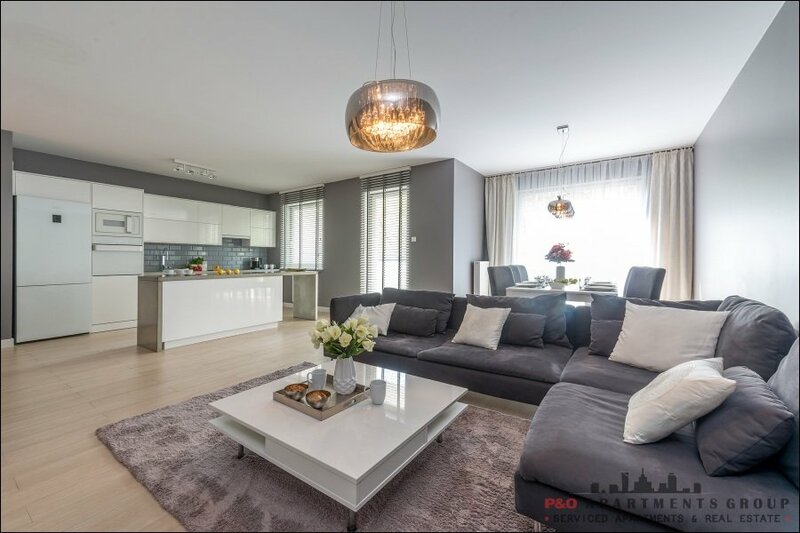 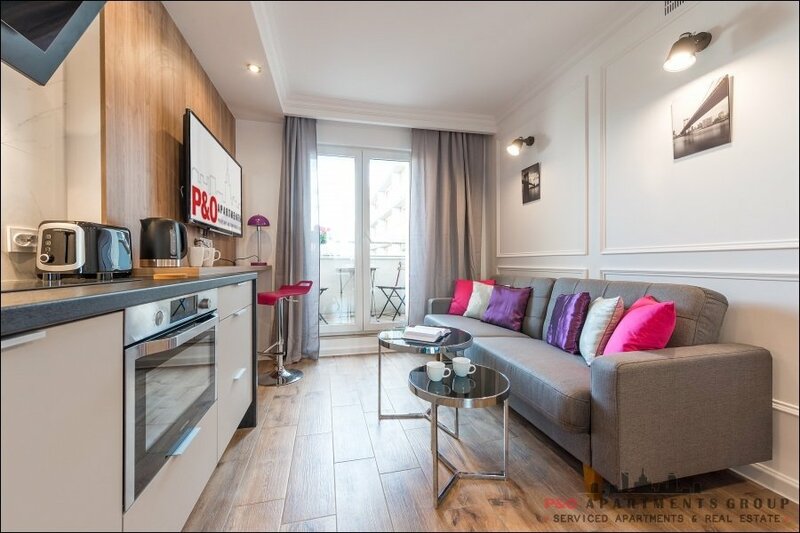 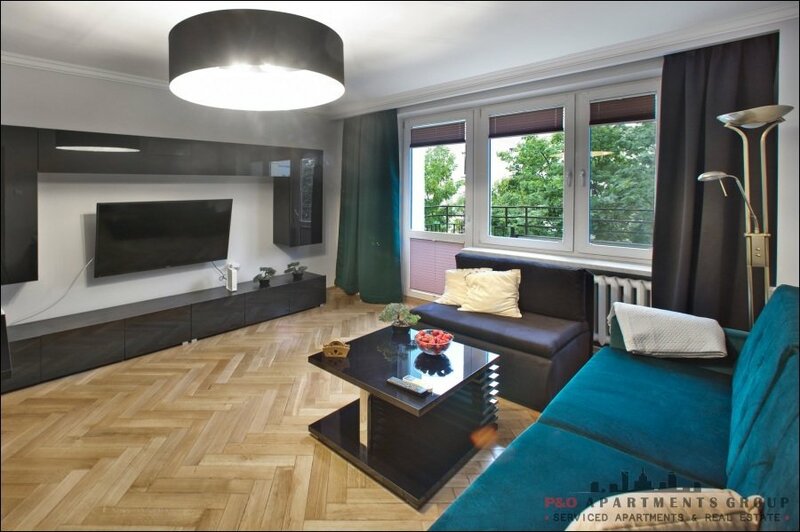 Luxurious and representative apartment, equipped with the highest standard, functionally designed with the utmost care, located near to Metro Wilanowska station, bus stop at Puławska street, Domaniewska and al. 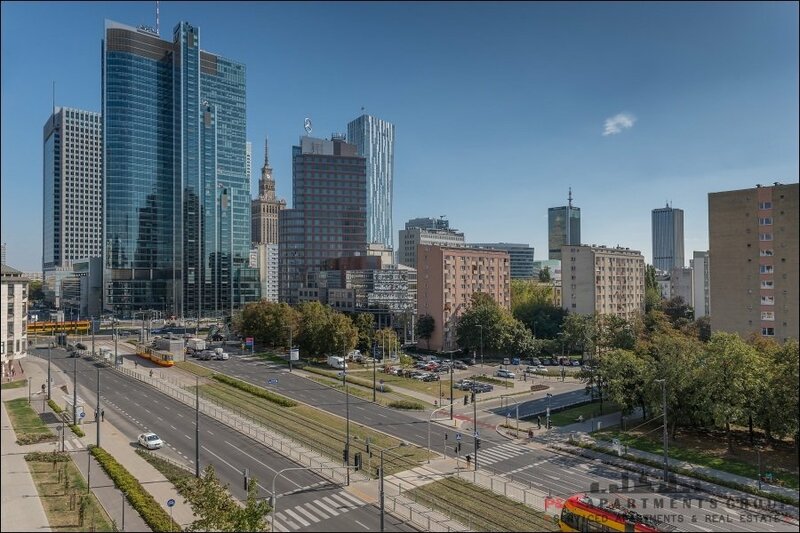 Wilanowska streets. 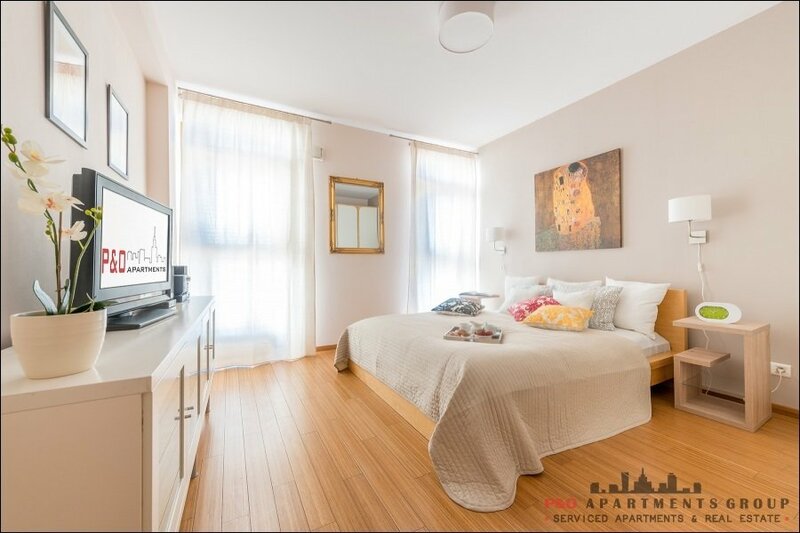 The apartment consists of a living room with a kitchenette, two bedrooms and a bathroom with a bath. 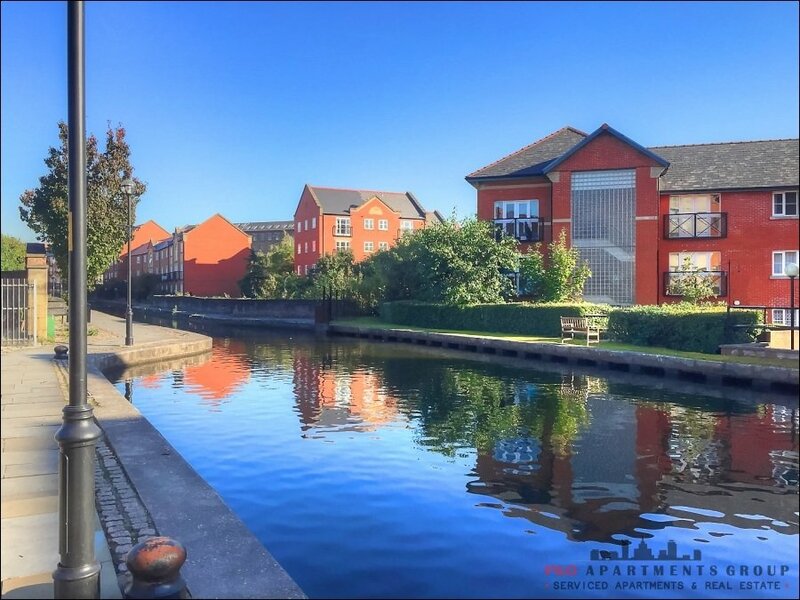 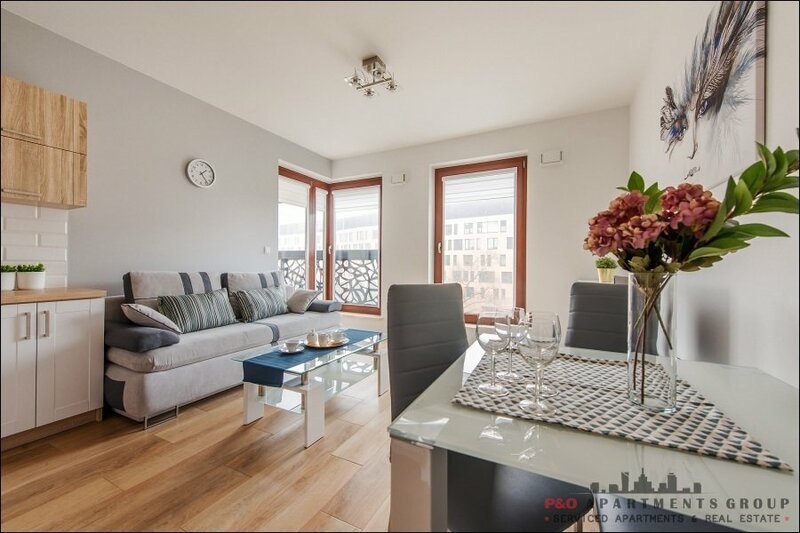 There is also a large, furnished terrace. 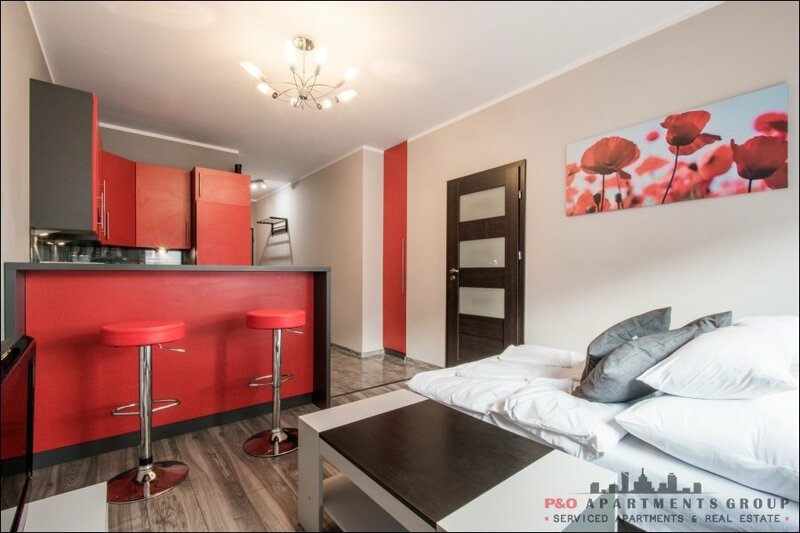 The apartment is fully equipped: washing machine, dryer, induction hob, oven, fridge. 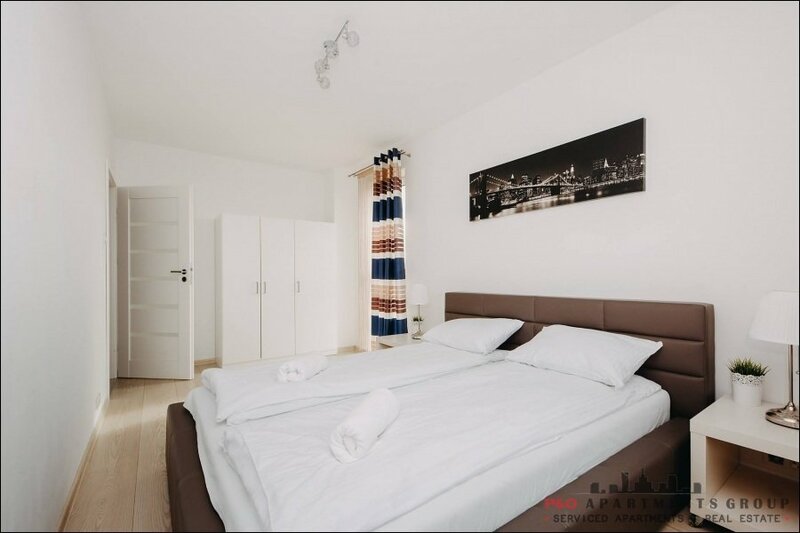 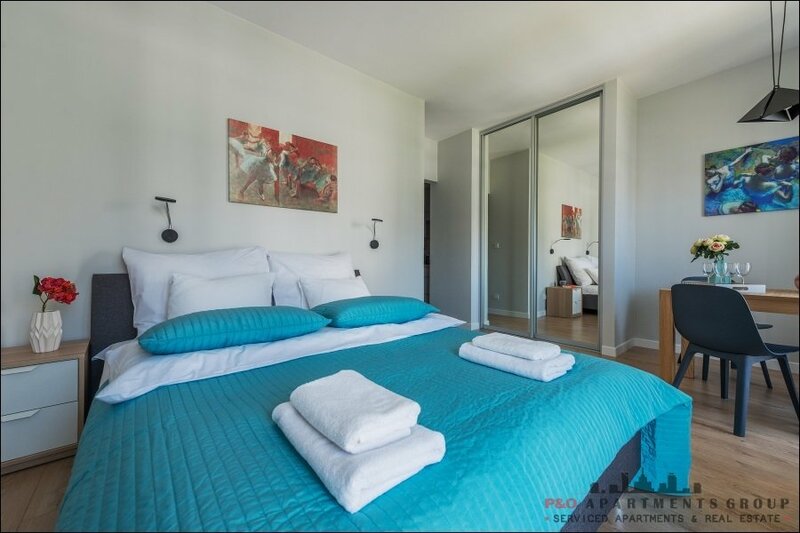 In the bedroom there is a double bed, in the living room sofa bed, 2 single beds in the second bedroom. 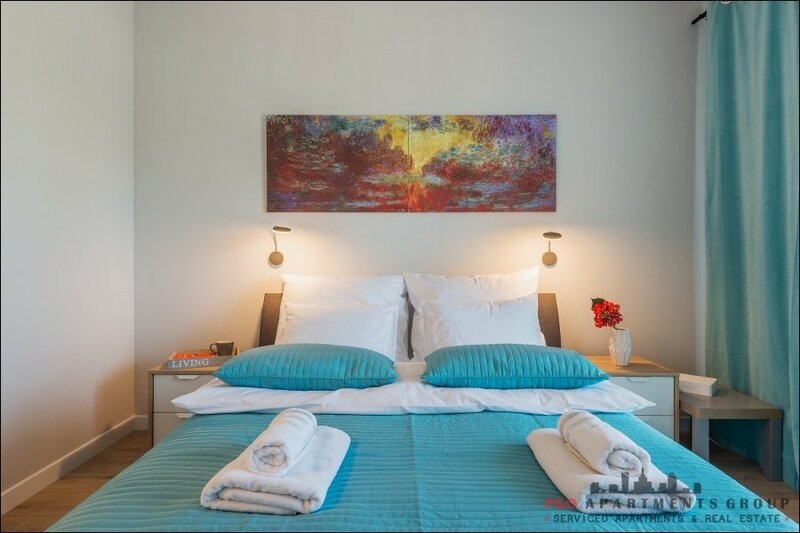 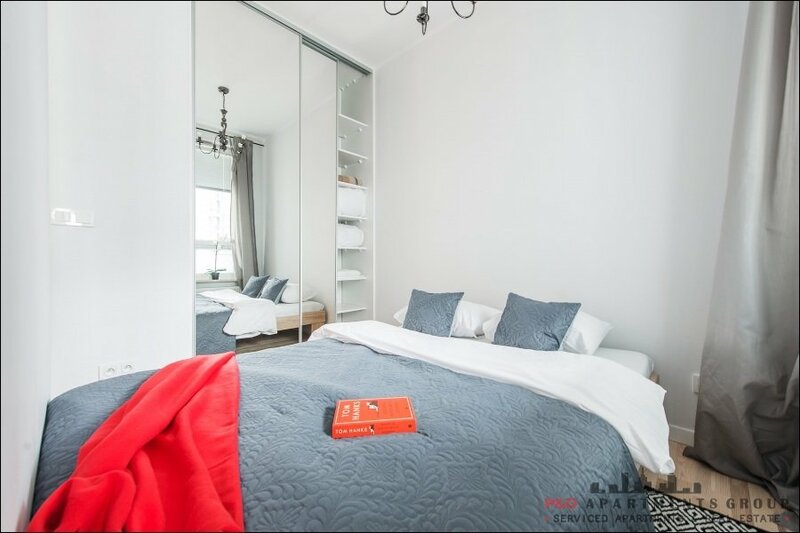 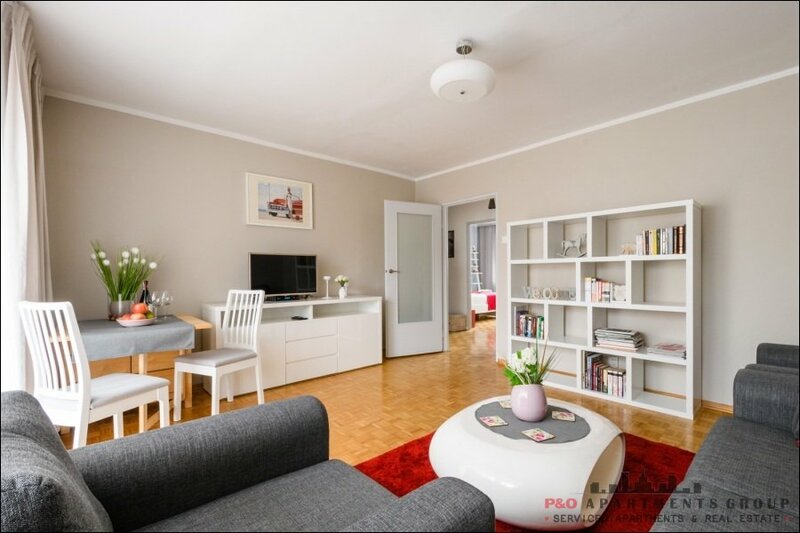 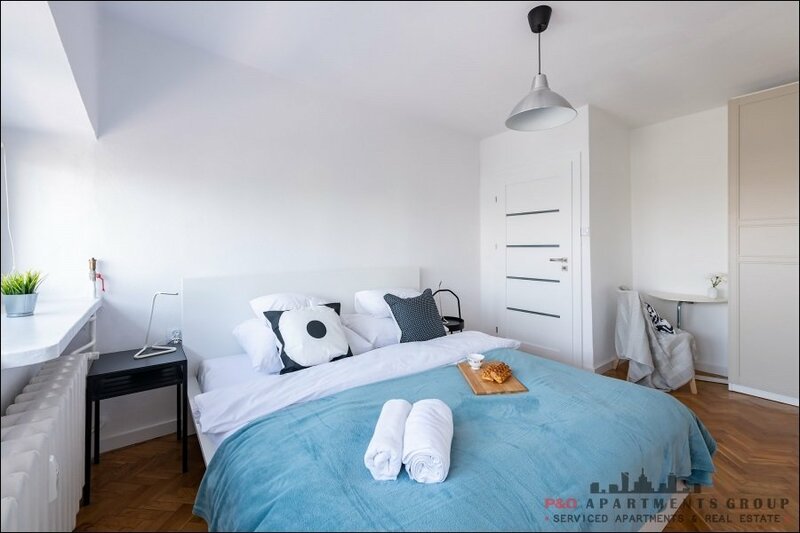 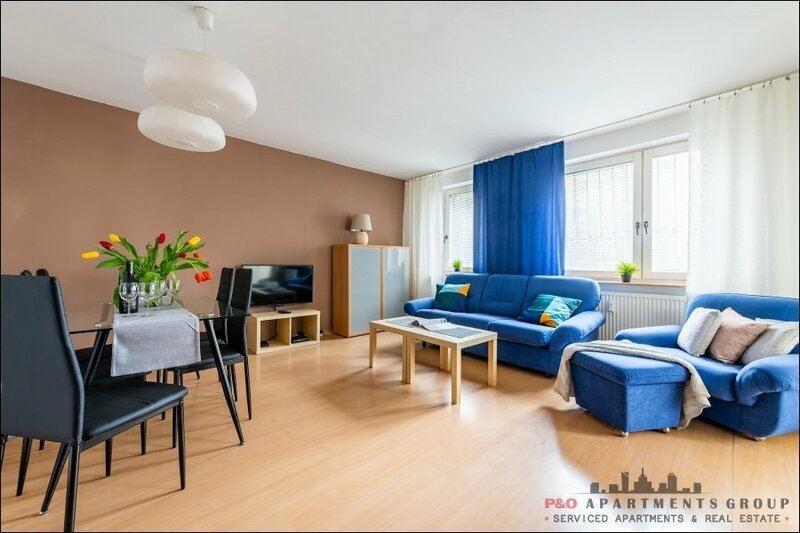 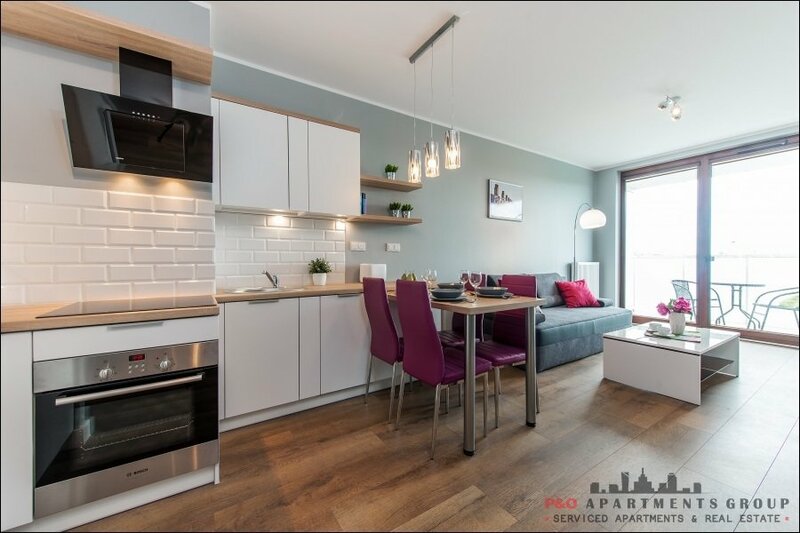 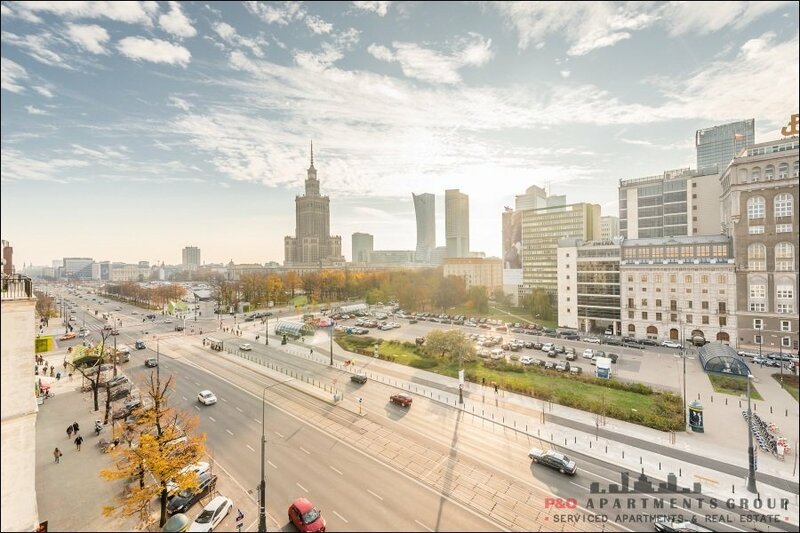 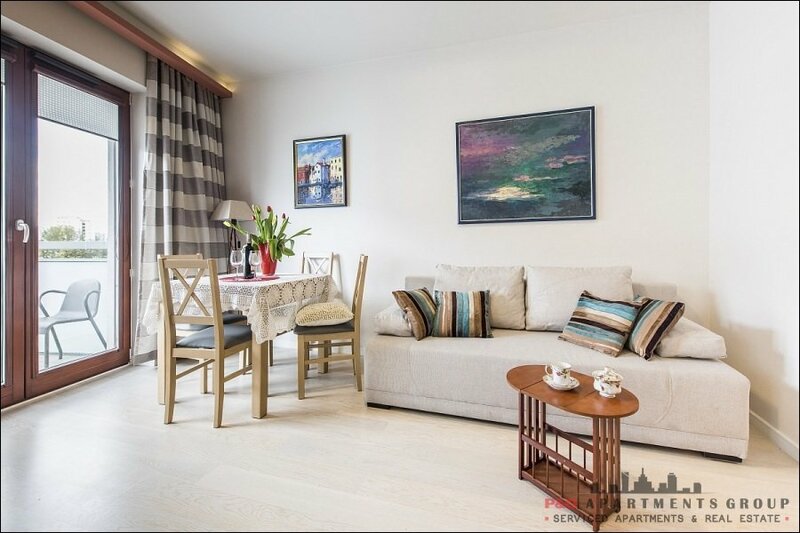 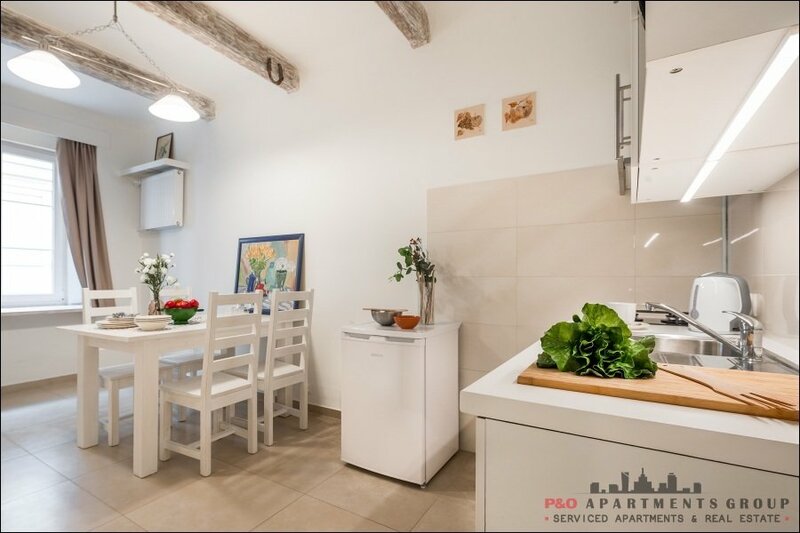 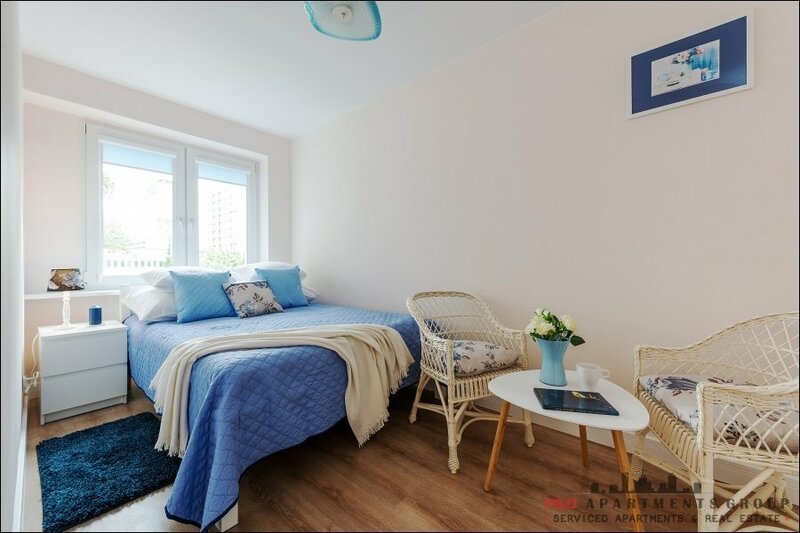 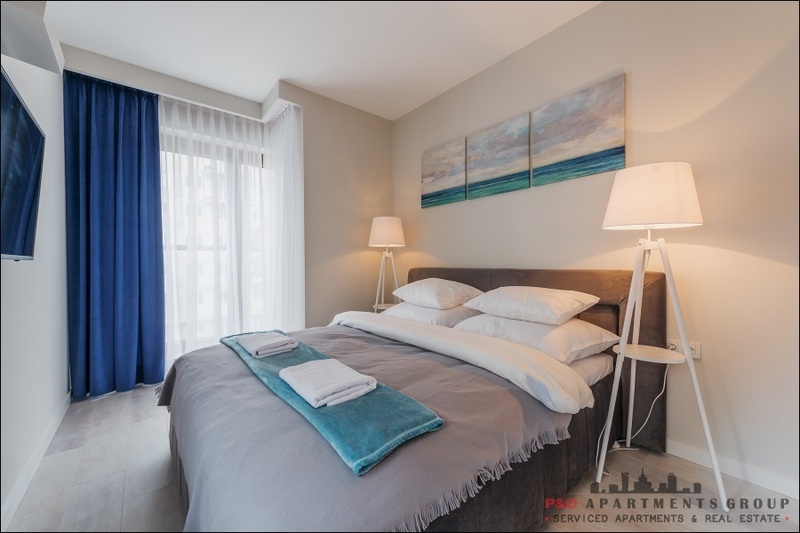 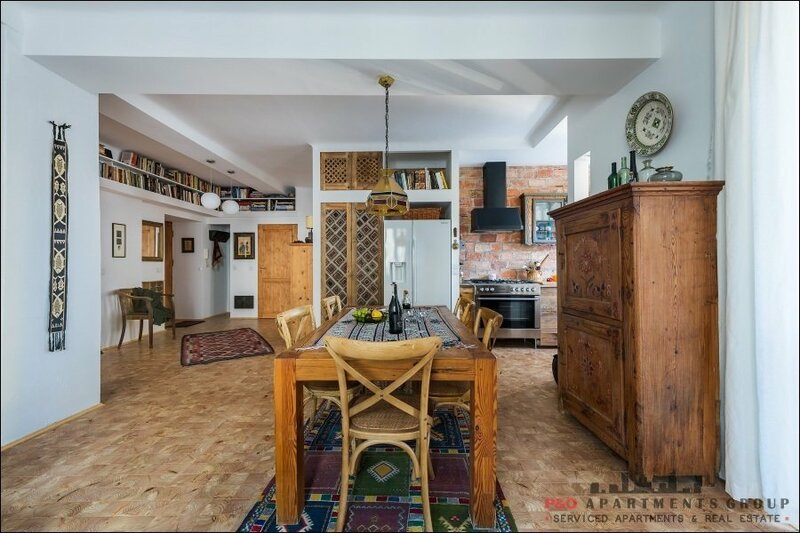 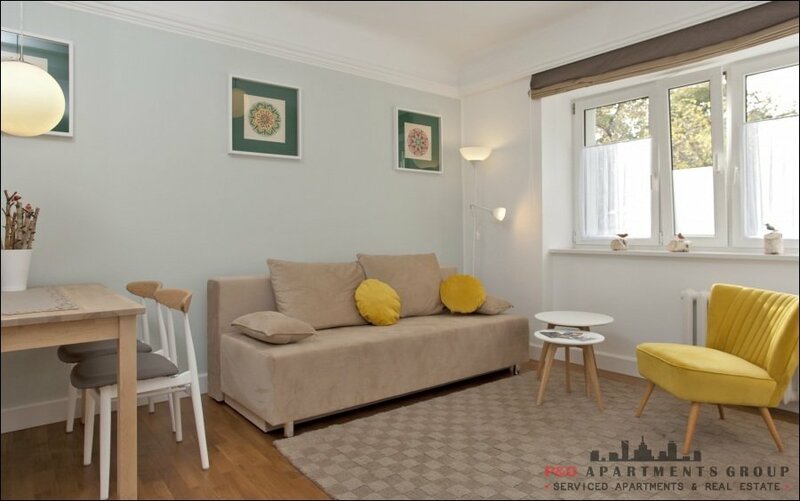 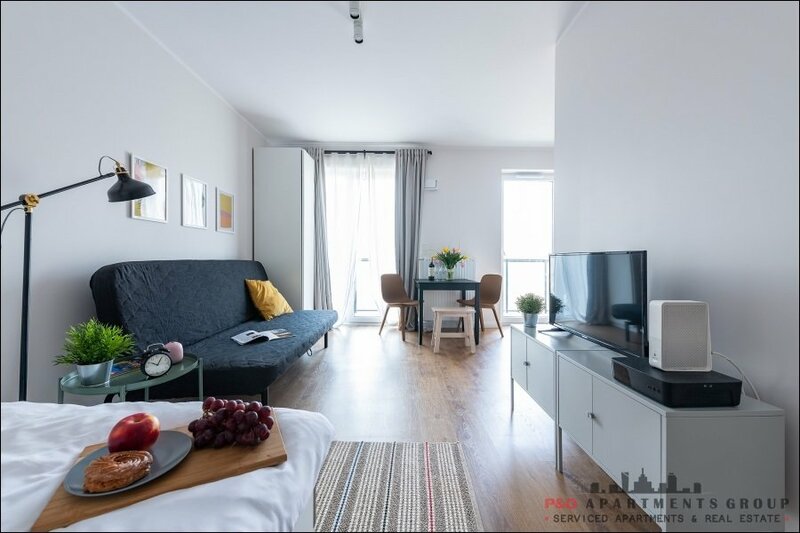 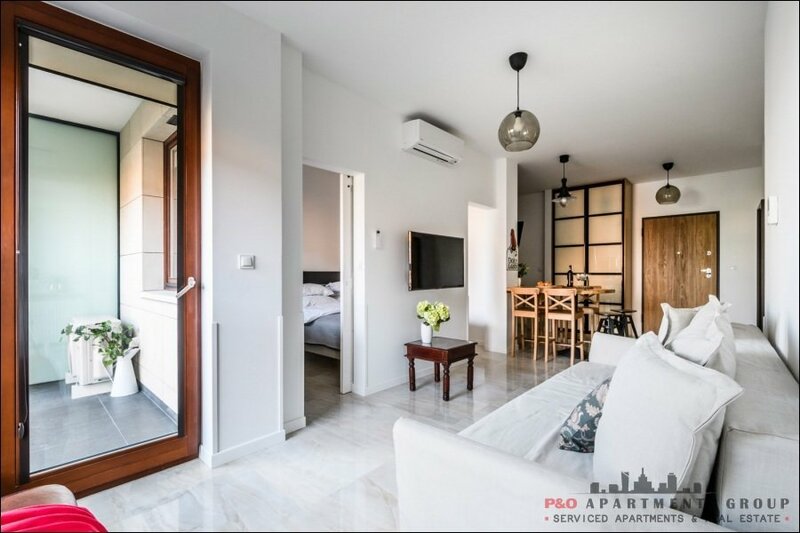 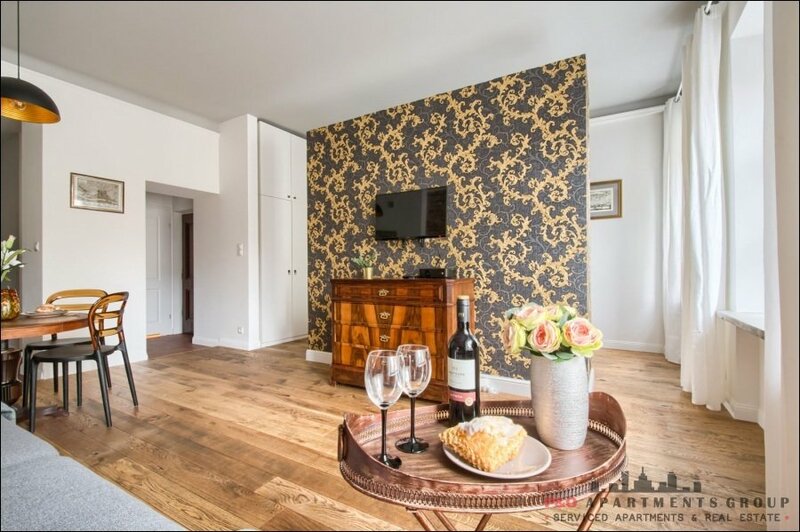 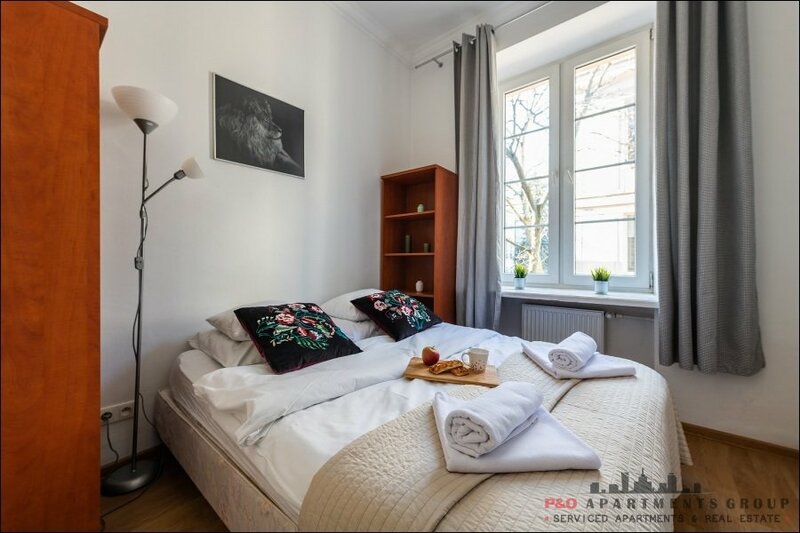 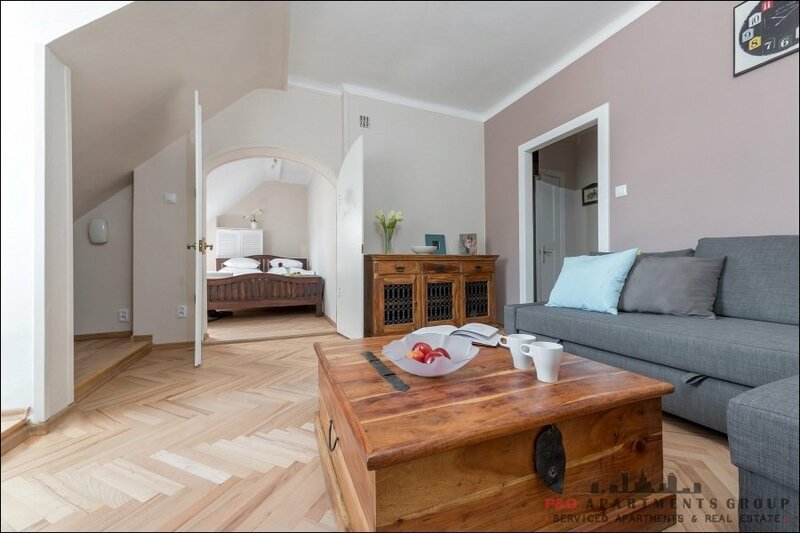 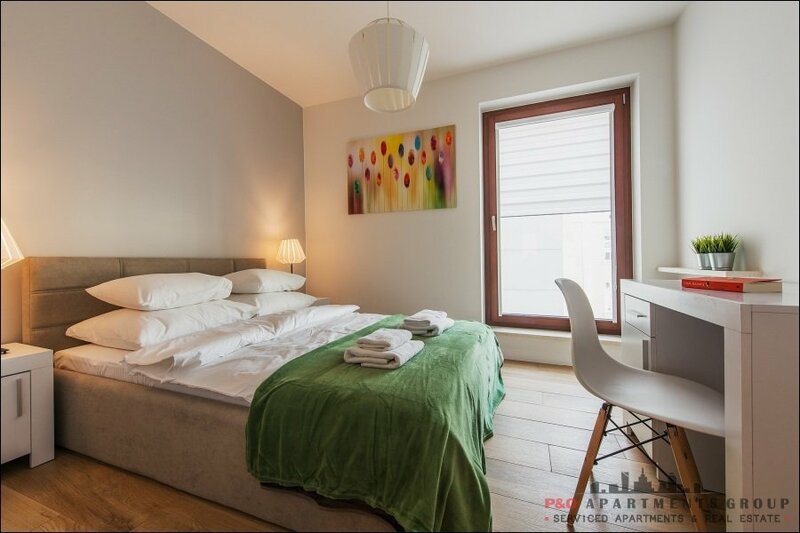 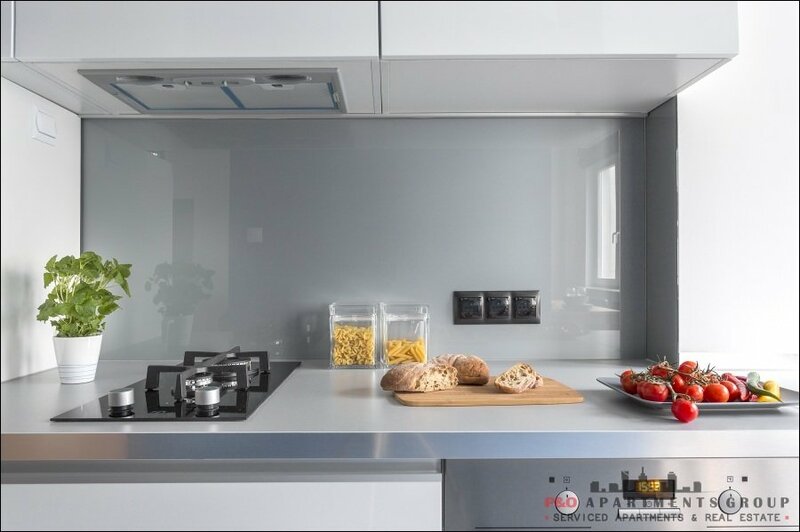 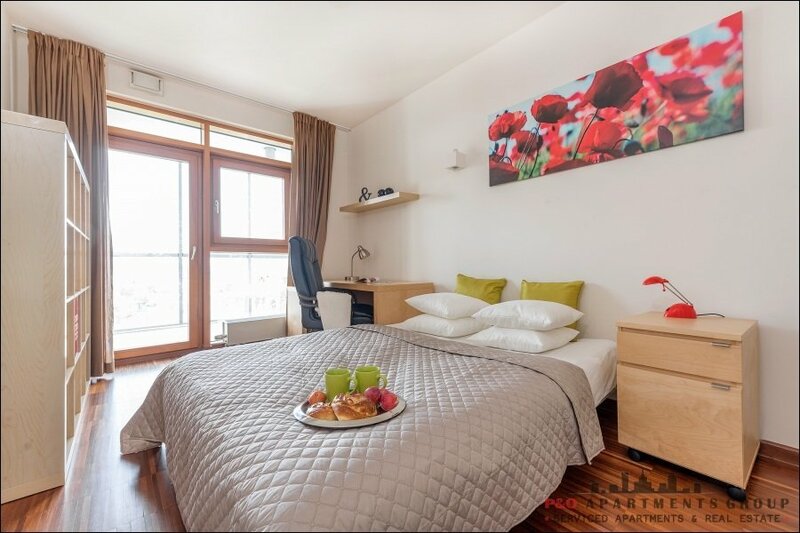 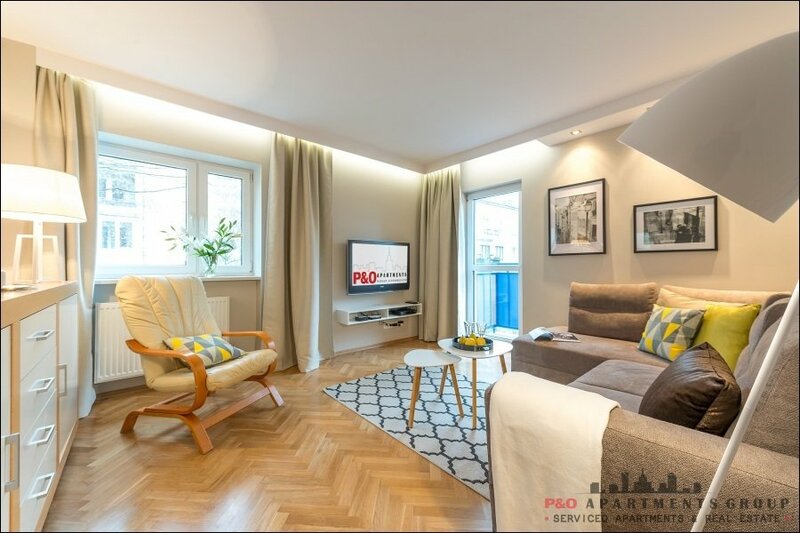 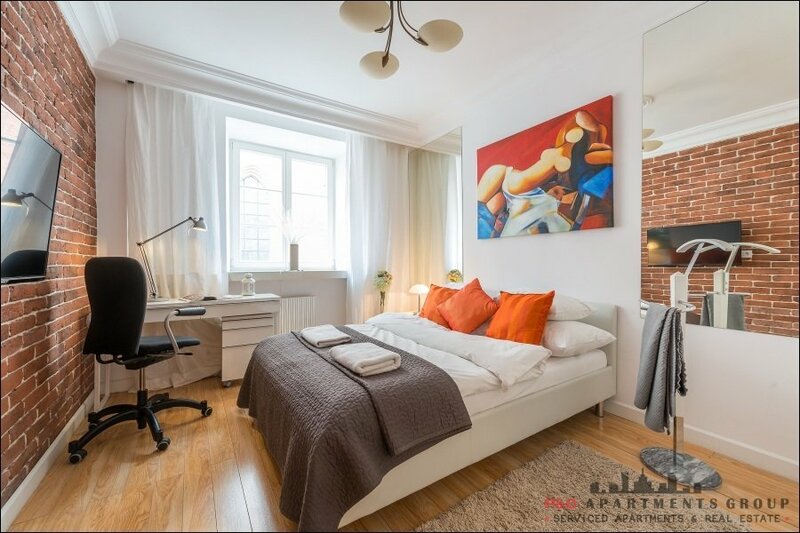 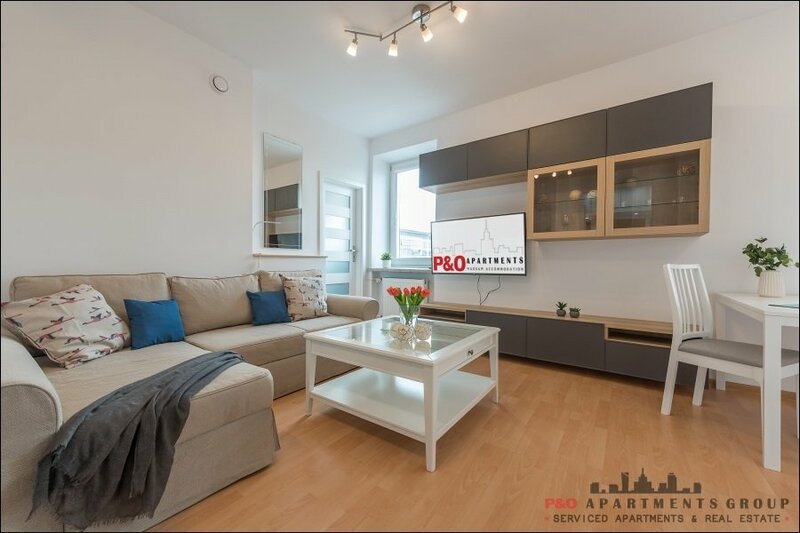 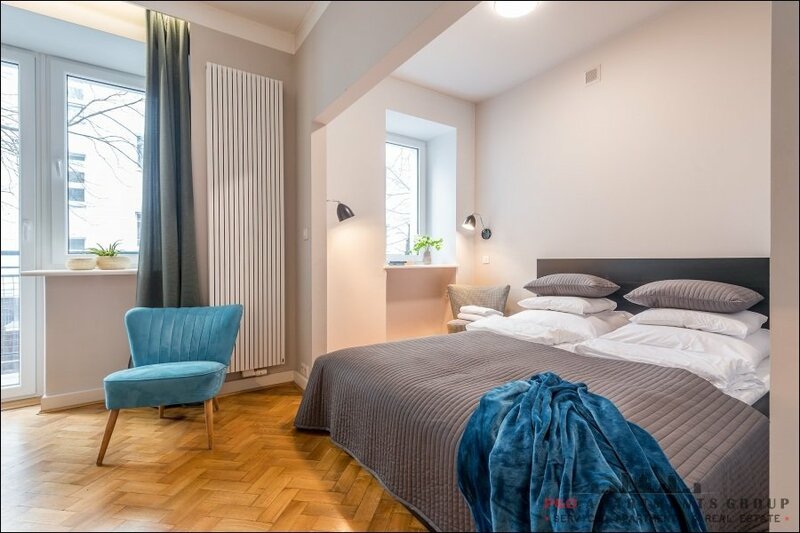 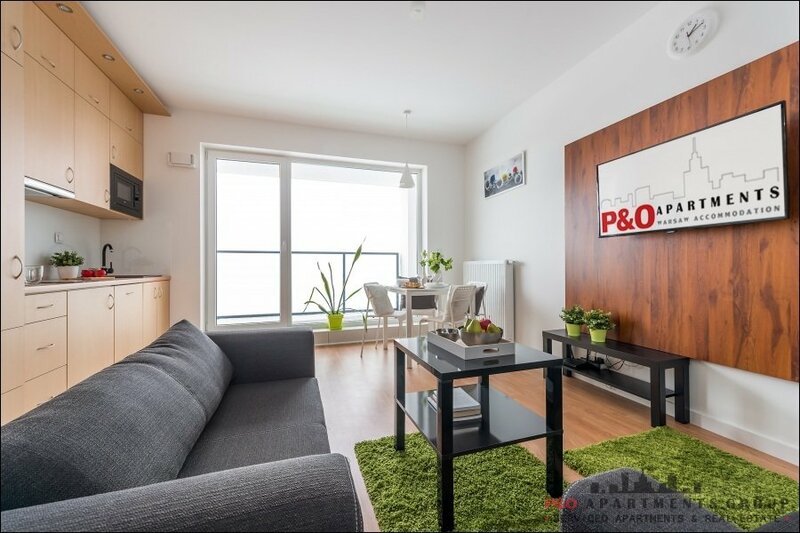 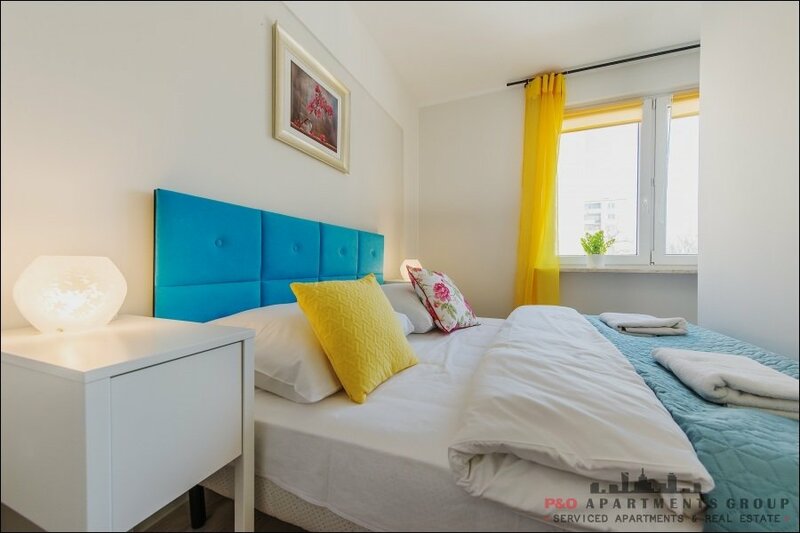 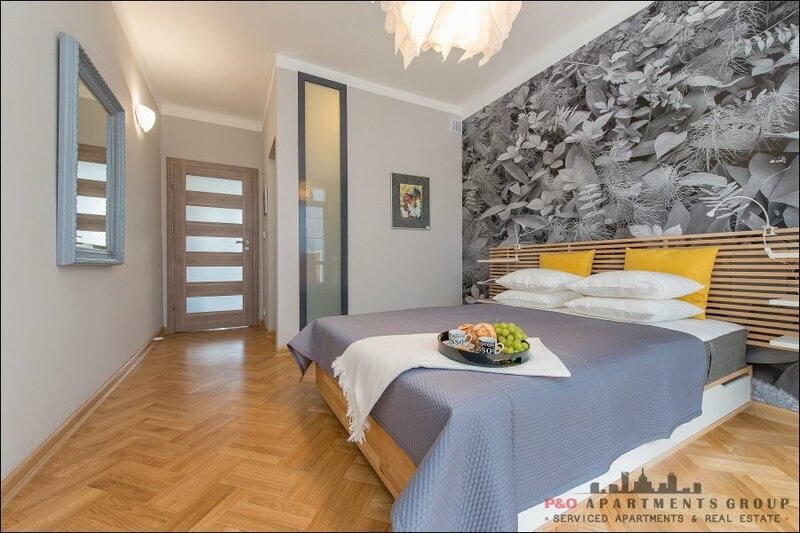 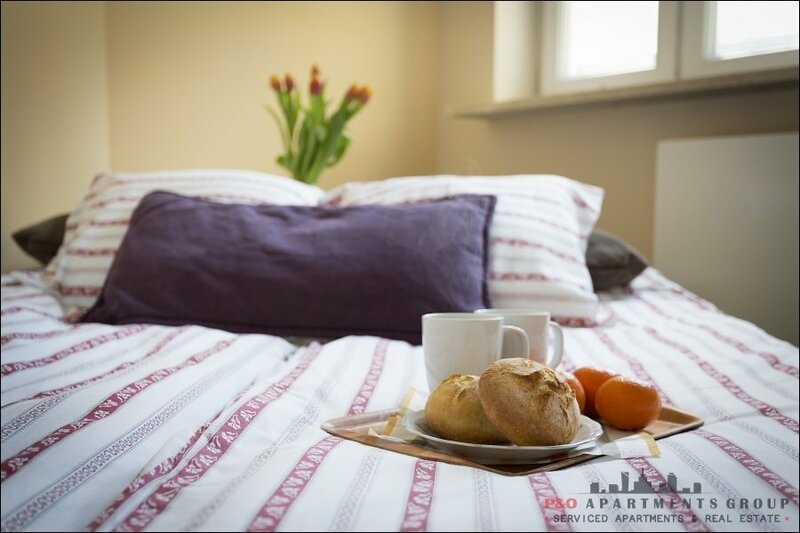 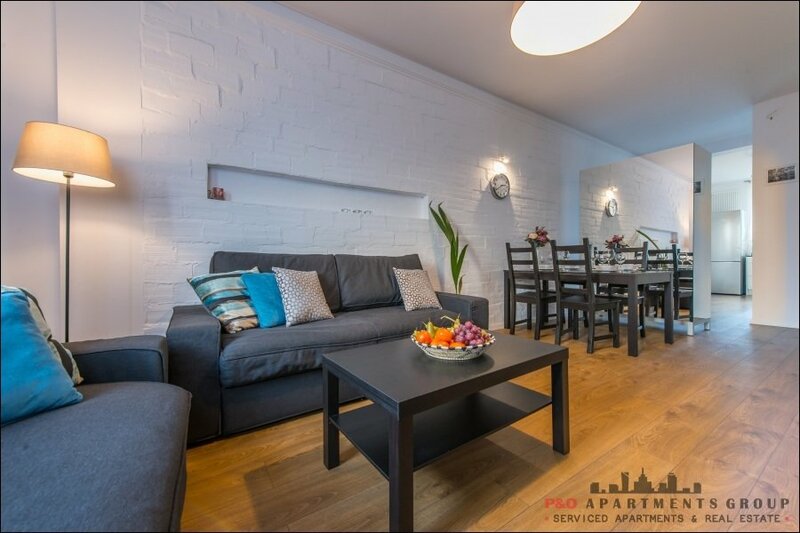 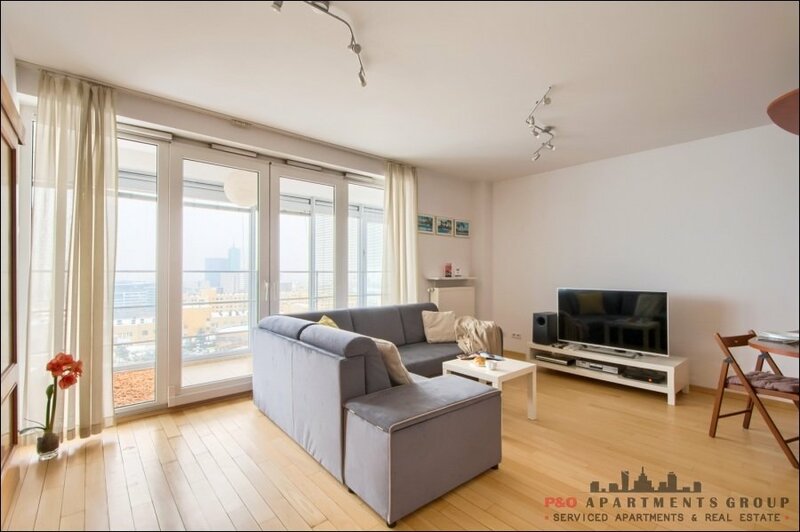 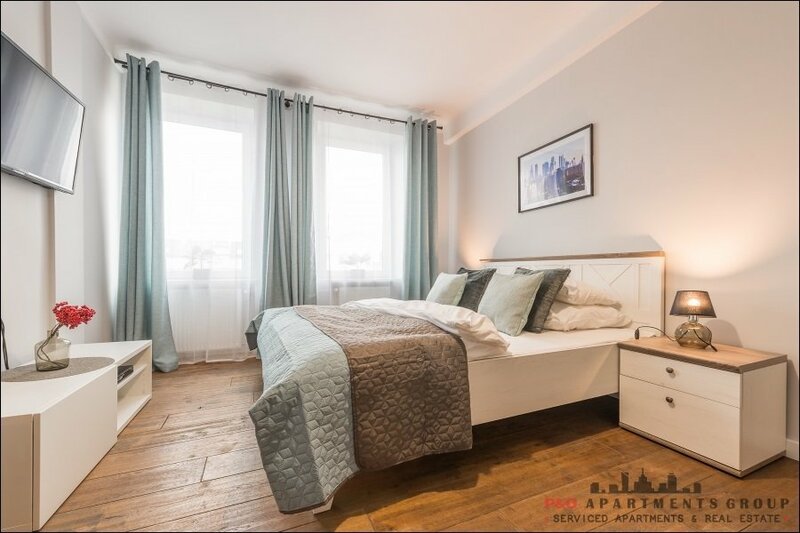 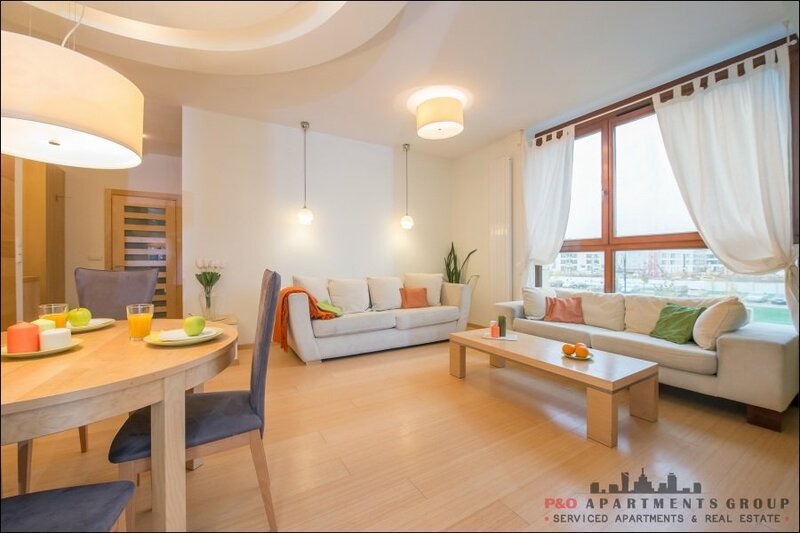 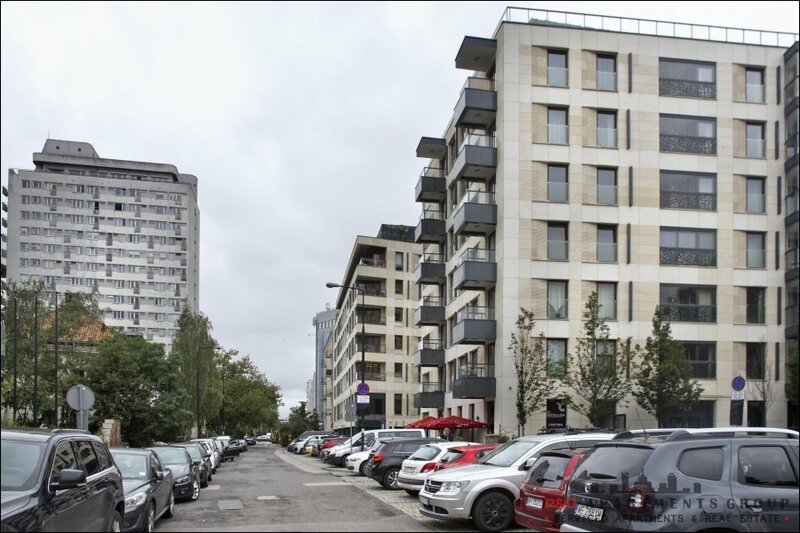 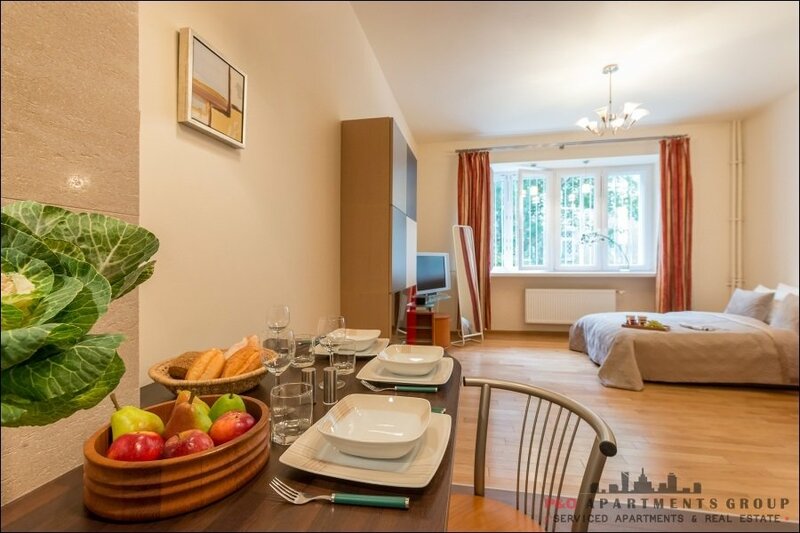 Very good communication to any place in Warsaw - Center, Old Town, Chopin Airport - numerous trams and buses, Wilanowska metro station at 550 m.
The apartment is located on the first floor of a multi-family house, the entrance to the building is from the courtyard. 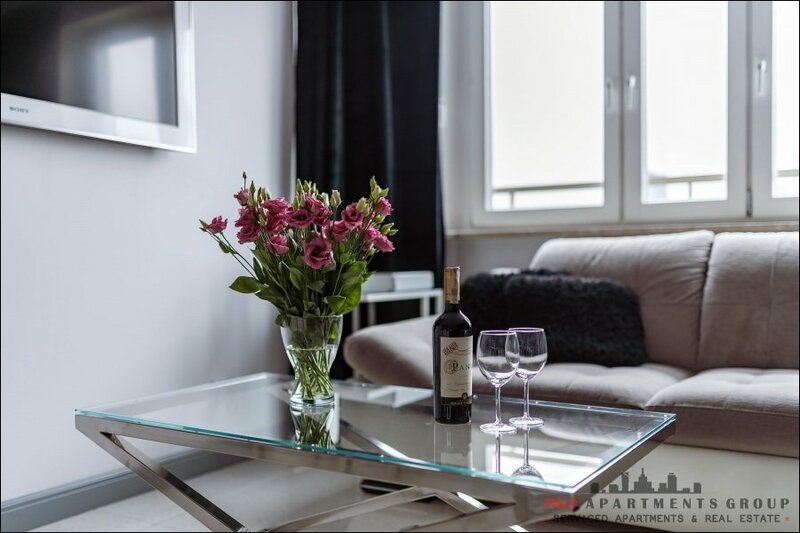 The apartment is an excellent base for business travelers as well as families with children.